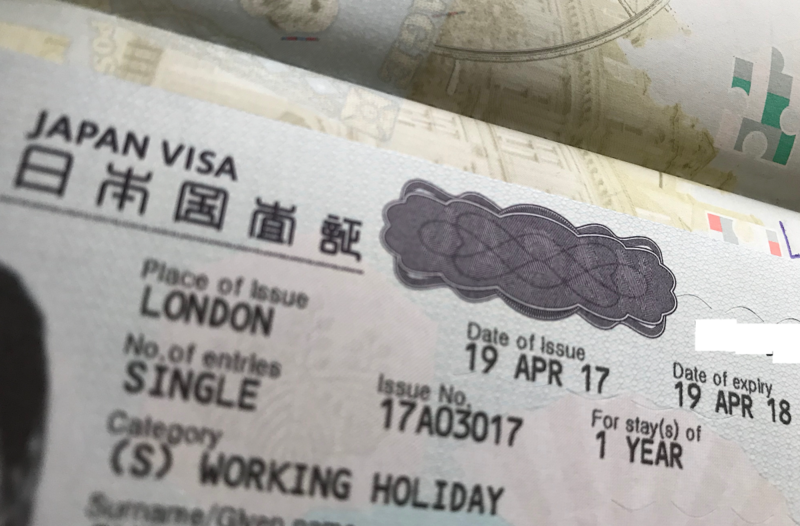 If you’re interested in visiting Japan for longer than the three months allowed by the standard tourist visa, why not apply for a working holiday visa? This enables you to live, work and travel in Japan for up to a year, and is a fantastic opportunity to immerse yourself in the language and culture of this beautiful country! Japan established its first working holiday program with Australia in 1980, and has expanded it to include 21 countries and regions as of September 2018. According to the Ministry of Foreign Affairs of Japan, the purpose of the working holiday program is to "provide youth with wider opportunities to appreciate the culture and general way of life in partner countries for the purpose of promoting mutual understanding." It allows residents of partnering countries to travel for an extended period of time, and to work in that country in order to supplement the travel funds and living expenses. This visa is not intended for people who want to permanently move abroad, enroll at university or work full-time in Japan. 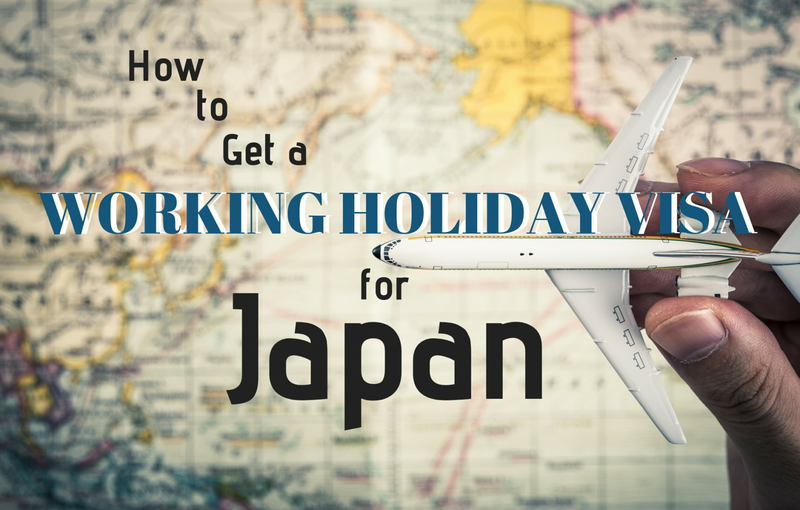 Similar to an exchange program, the working holiday program is a two-way street—only citizens of countries which offer working holiday visas to Japanese citizens are eligible for a working holiday visa to Japan. If you're not a citizen of one of these countries, you (unfortunately) aren't eligible for a working holiday visa in Japan. It's also worth noting that, depending on the country, there's a yearly limit to the number of working holiday visas issued. ・Currently reside in your home country (except for Hong Kong and Taiwan). ・Intend to travel in Japan, and return home at the end of your trip. ・Be between 18-30 years old at the time you apply for the visa. If you're from Iceland, the ages range from 18 to 26. For Australia, Canada and South Korea the upper age limit is normally 25, but can be extended to 30. ・Not be accompanied by dependents or children, although you and your partner can both apply at the same time. ・Have a return ticket, or sufficient funds to purchase one. ・Possess reasonable funds for your initial period of stay in Japan. ・Never have been issued a working holiday visa for Japan. While these are the general universal requirements, there are some that vary by country (for example, some countries also specify that you must not have a criminal record). You can find the exact requirements on the website for the Japanese Embassy in your country. Most of the requirements are fairly straightforward, but there are a couple of points worthy clarifying clarify. What counts as "reasonable funds" for your initial stay in Japan will be stated in your local currency on the Japanese Embassy’s website. For UK citizens, it is currently either £2,500 (about ¥360,000) or £1,500 (about ¥216,000) plus a return ticket home. For married couples, that amount is increased to £4,500 (about ¥647,000) or £2,500 plus return tickets. Residents of some countries may also have to show that they have adequate insurance for their trip, and provide medical certificates indicating health or other supporting documents. If you tick all the boxes, it’s time to put together your application! Check online to see if there are any limitations as to when you can apply—for example, Hong Kong has two specific application periods each year, while South Korea has four. For the UK and many other countries, applications can be submitted any time. ・Your passport. Again, make sure it’s valid for the entire duration of your working holiday. ・A completed visa application form. This is available at the Japanese Embassy website for your country. ・A CV. Try to keep it to one page. ・An outline or itinerary of your intended activities in Japan. ・A statement explaining your reasons for applying for a working holiday visa. ・Documents proving that you meet the eligibility requirements. This could include bank statements, insurance documents, airfare receipts, medical certificates or more. All documents should be originals, not photocopies. Be aware that you have to temporarily hand over your passport, which will (hopefully) come back with a shiny new visa inside! All other documents will not be returned. ・Submit both as separate, typed, one-page A4 documents. ・For the itinerary, list the places in Japan you hope to visit and what you hope to do there. You don’t need to submit a detailed budget for each. If you have an idea of the type of work you intend to do on your trip, you can include it as well, but it isn't required. The purpose here is to show that you’ve done your research and have a sensible plan in mind for your trip. ・When detailing your reasons for applying, it's important to show that you have a genuine interest in Japan. Explain why you want to spend a whole year in the country, and why a normal tourist visa isn't enough for you. If you’re studying Japanese or have a Japan-related hobby, now is the time to mention it! ・Make sure that your statement demonstrates your awareness that the working holiday visa is intended for people who are primarily going to Japan for a holiday, not to work or study full-time. Check your local Embassy to find out if there are specific dates or times that you should submit your application. For the Japanese Embassy in London, there are no such requirements, so you can just turn up any time during their opening hours. When you submit your paperwork, the officer will check then and there whether you have everything you need. Be prepared to wait patiently while they carefully read through all your documentation! Some countries may also require you to have an interview. Then it’s time to play the waiting game! For some countries there will be a specific date when applicants will receive notice. For others, you will only have to wait a week or so to find out. If you are granted a working holiday visa, it will be attached to your passport when you collect it from the Embassy. Normally you have one year from the date of issue in which to enter Japan, but again this validity period varies per country. For example, it’s only three months for Iceland. This validity period only dictates when you need to enter Japan—your year in the country starts once you arrive. And that’s it! With a working holiday visa you'll have an amazing opportunity to spend a whole year in Japan, exploring its rich culture, immersing yourself in the language, making new friends and enjoying once-in-a-lifetime experiences. Happy trails! The information in this article is correct as of October 2018. Please note that things such as eligibility requirements and the application process may change, so check with your local Japanese Embassy before applying for a working holiday visa.